I have received a lot of doubts related to installing any operating system. Though if you go ahead and Google the query you will surely find the answers. But then I thought to make my own version of Guide on how to make USB bootable explaining each and everything. I will also recommend some of the software that I use to make USB bootable. So let us begin with the very basic question that is, what is USB bootable? Before the trend of USB drives/Pen drives, we all used to install an operating system using a CD/DVD. But now everybody has USB drives which we can use to install the operating system. Now as you know that once you boot your system, after the company branding the operating system kicks in. So if we need to replace that operating system we need to do it before the operating system starts. So all the files of installation comes in a common format called “.ISO”. ISO is basically an image of the optical disc, meaning it has the files copied from the optical disk sector by sector. So if you wanted to generate an exact virtual image of an optical disc, you would do that in the ISO format. All the files are packaged in one single file that ends with a .iso extension. Answering the main question, USB bootable means we will basically copy all the files from the ISO file to USB drive in such a way that it boots on the startup. So one thing is clear that all operating system will come in ISO format. Where can you find the ISO file? Well for most of the free Linux distribution it will be available on their respective websites. For Windows you can may be search for it on Google for the official ISO file. For Windows 7/8 I have mentioned a tool below that can also download the ISO file for you. And apart from that you always have one other source where you find all the things which I can’t say it directly but it starts with ‘T’. We will be using a software to make USB bootable. It all depends on which operating system you are thinking to install. Nowadays most of the tools support all operating system and are universal. The list of top tools with their download links is given below. Use any one of them. If you are familiar with Linux then you can also use DD commands which works great too. Before starting with the procedure let me tell you that if you are thinking to dual boot then you can go for the alternative of running the operating system using virtual machine software. Also if you want to do it for DVD then just burn the .iso image directly on it or use the same tools. 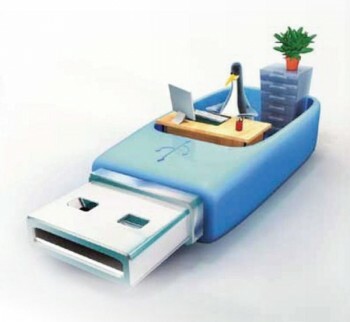 GUIDE: How to make USB bootable? I am going to use Rufus for showing you the procedure. To begin with make sure that your USB drive is blank and has no files, as this procedure will delete everything. Next launch any software from the aforementioned link, very few will actually require installtion. After that it will ask you to choose various things out of which two options are really important. One is USB drive letter and second is .ISO file location. Apart from that the name of operating system may or may not be asked. Note: While selecting just choose the option that says I have the ISO file or else it will re-download the whole thing. After selecting those options you can choose if you want to format the drive or not. Well format is recommended from my side. So the preparations are done and now you can go ahead click start which will give you some warnings just click yes. After certain time interval the progress bar will hit 100% and the process will be completed. Now it is safe to remove the USB drive. 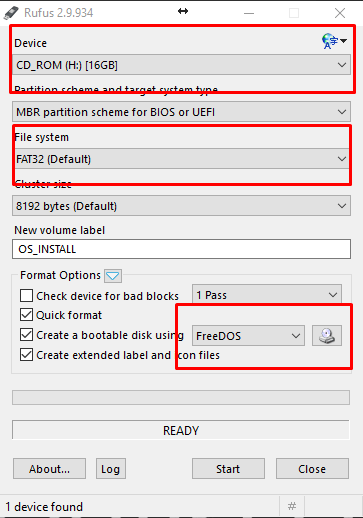 This is how to make USB bootable using software and ISO file. There is again one step left before you start the installation which is, go to BIOS setting of your machine and check the boot priority. Always set the boot priority of USB drive to the top so that it boots before the hard disk or DVD-ROM. If you have done the procedure carefully you will see installtion starting. If there is any issue then may be your ISO file is corrupted. If you have any doubts please do mention them in the comment section below.